171 years ago a brewing revolution took place in the ancient Czech town of Plzen, a revolution that changed the world of beer forever. A group of dedicated brewers put their skills and their ambition together to create the world’s first ever golden beer, the original Pilsner lager, Pilsner Urquell. A beer that still sets and defines the standard for 70% of the worlds brewing output today. I had the pleasure of travelling to Pilsen and Prague with Pilsner Urquell in the Fall of 2013. The trip included a private tour of the Pilsner Urquell brewery and a culinary tour of Prague, the nations jaw dropping capital. This incredible experience taught me firsthand how the world’s original pilsner is crafted and what makes this beer so special. 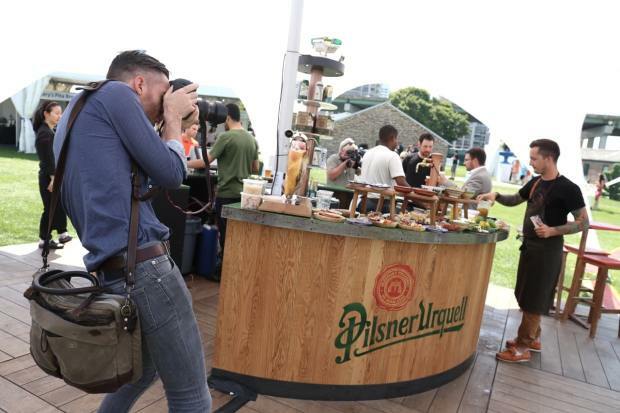 I’m thrilled to be an Ambassador for Pilsner Urquell, the official beer sponsor at Taste of Toronto, taking place at Fort York from July 2nd to 5th 2015. Last summer at Taste of Toronto’s inaugural event an intimate group of VIPs were invited to adventure through a Keepers of the Craft Workshop exploring Bar Isabel’s Chef Grant van Gameren’s love for the petite pintxo, a small snack, typically eaten in bars in northern Spain and Basque country. Chef Grant challenged the group to a culinary competition, fractioning us into groups where we were tasked at producing the perfect pintxo. Over the next hour my team banded together, sipping and nibbling our way through a parade of plates inspired by Spain. Our delicious action packed afternoon would offer a glimpse into the project Chef Grant was developing at the time, the now much buzzed about Bar Raval on College Street. 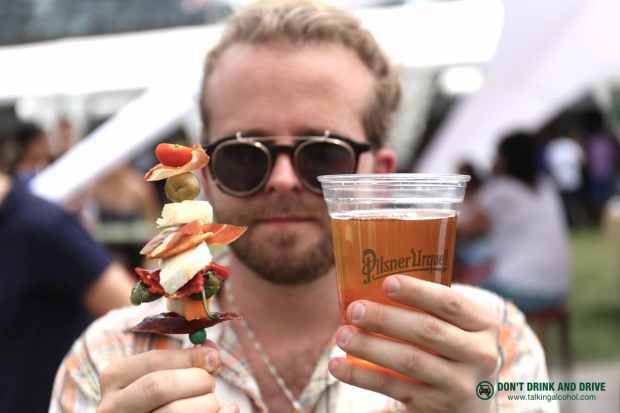 This year, Pilsner Urquell will be back at Taste of Toronto, returning as the official beer of the event. To continue celebrating it’s 171 years of craftsmanship and brewing tradition, the brand is once again flying in unfiltered Pilsner Urquell draught directly from their brewery in Pilsen. Last year Taste of Toronto fans enjoyed a unique opportunity to sip this special brew, a fresh beer that offers extra mouthfeel, greater head retention and more body with an enhanced hoppy bitterness. Unfiltered Pilsner Urquell will also be available on tap at Bar Raval and Bar Isabel on Taste weekend for Toronto beer fans to enjoy to their hearts delight. Hip, hip, hooray! This years Taste of Toronto Contest is better than ever as we’ve created an awesome experience that allows you to enjoy the ultimate weekend away in Toronto. Whether you are driving in from Oshawa, Oakville or Ottawa, or playing the staycation game as a local food lover, this may just be the summer’s most talked about contest, valued at over $1,000! That Friday evening enjoy dinner for two at Bar Isabel, a “Chef’s Tasting Menu” by Grant van Gameren. Valued at $250. $40.00 in additional crowns, to ensure you enjoy an unforgettable culinary adventure during your visit to Taste of Toronto. The total value of this contest is $1,110! Open to Canadian addresses only. Must be legal drinking age to participate. Contest closes on Tuesday June 30th @ 10:00 am. Winner will be contacted directly and will have their prize delivered to address provided. Good Luck! Patria!! Still thinking about those long line ups for the Paella last year! Hey girl! I’ve never been and everyone recommends it there! What an awesome prize pack! Would love to indulge in all of the Taste of Toronto restos but especially pumped to finally try @TheFoodDudesTO’s divine treats. I would go back to Little Sister… 100 times. It’s something this international city was missing and a welcome addition to the food dialogue. I’ve always wanted to go to Byblos! What an awesome giveaway! The Taste of Toronto restaurant I am most excited to eat at is Patria! Craving some authentic tapas, pinxtos and cava! I am most excited to try Patria at Taste of Toronto. I’ve heard so much good about the restaurant, but I haven’t had a chance to check it out. We had so much fun at Taste last year (the Charlie Burger Champagne & Caviar session was over the top! ), we’d love to go again. Oh, and what a super romantic weekend that would be too. Swoon! I’d love to eat at The Harbord Room at Taste of Toronto! I am most excited to try Patria! I am most excited to try Los Colibris and El Caballito! Love me some Mexican Food! 🙂 I never say no to getting a taco either! I have never been to this festival although have heard amazing stories/reviews. All the pictures from last year make it seem like the tastiest events in Toronto! I’m most excited to try Oliver & Bonacini’s Bannock + Biff’s Bistro. I’ve had catering from them at an event at the food was great . Can’t wait to taste The Drake’s East Coast Fish Fry… Crispy clams & Jail Island Haddock! Oh and the Drake Lobster Roll with avocado & jalapeno sounds yummy too! What a great price! Swanky! I am most excited to try something from Little Sister! I love Indonesian food! This looks like a fantastic weekend. I keep thinking I need to delve deeper into TO’s food scene and this would certainly help! I’d really love to try Patria, @PatriaTO – I have heard such great things! R&d – I love Masterchef Canada! Rasa, maybe. So many great choices on that list! Mmmmmm Byblos!!! I want to try it all, but Byblos stands out for me for sure. 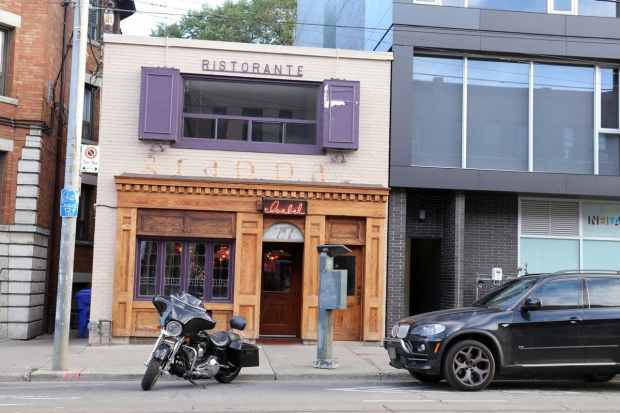 I haven’t yet dined at The Harbord Room – so I’m most excited for that! This prize pack is amazing, beer + T. + food = winning!! Los Colibris. Haven’t been yet but their Authentic Mexican menu looks muy caliente! My husband would truly enjoy this little getaway. Also sampling some fine cuisine would truly make it a wonderful time out. This prize is making me hungry! Would love to experience it. l live “nowhere” would love to be somewhere enjoying food, fun, drinks! A fab, stay cation! WOW!! You mean I have to choose???? Well…ummm…that is a hard decision to make. So many great tasting dishes and places to get them at. I would have to say, since I am forced too (hehe) that I am most looking forward to Rasa. BBQ Smokehouse sounds right up my alley! Im most excited to try out the drake hotel! Everything! We want to try everything! I would love to try the Barque Smokehouse the most because in the summertime, there’s nothing better than some delicous barbecue food items Yummy but all these Taste of Toronto restaurants sound so Incredible and I would love to sample any of them!!! R&d is on the top of my list to try. Now this is a cool contest! 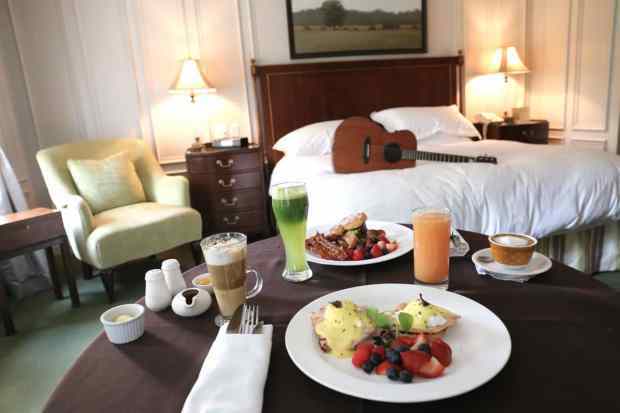 I really wanna try food from the Drake Hotel! I’m most excited to eat at Montecito! I’ve heard so much about it. Rasa.. and Patria! I love the Food Dudes. They’re good, delicious guys. Little Sister looks amaze, i love trying interesting food from cultures I am not too familiar with! So many to choose, I will be going to as many as possible! Really love to see what Little Sister is cooking up. I’m most excited to try Citta. Heard great things yet haven’t had a chance to try it yet. I’d love to try Little Sister. wrong email in previous post ….. Such a sweet prize.Thanks for the chance 🙂 what I’m most excited to try is definitely Montecito, the harbord room, & Citta ..basically all the foods!! I’ve heard great things about Richmond Station and am looking forward to my first visit. Would love to go to Richmond Station. Can’t wait to try Bosk! I am looking forward to trying Barque Smokehouse! I’ve heard so many great things about Splendido! Love to try their food. Need a great tasting and fun time! Thankyou! I’d like to try Splendido! I love El Caballito. Love the tacos! I would love to try Barque Smokehouse. I love any food that I don’t have to cook. Having said that, I miss Mexico and won’t be back until December so I’ll say El Caballito. The only thing that beats warm corn tortillas is caviar. Enough said. Most excited to try some eats from Montecito. Looking forward to Little Sister. One of the best things about this contest is that it’s being sponsored by pilsner urquell! I discovered this beer when I backpacked in Prague and its been one of my favorites ever since. Richmond Station. That burger last year was amazing and I see he has one this year too. A stellar culinary line-up, and I’d love to see what Richmond Station delivers – they’re always a delight at food events. I’ve got to be honest, I live in a bit of a restaurant bubble. I probably don’t even know half the restaurants I want to try, but this would be a great chance to find them! Would love to try Bar Isabel! Byblos looks like a great restaurant to discover! I’m looking forward to Patria. I hear it has amazing Spanish cuisine. Drake Hotel/ Drake One Fifty + Drake Devonshire! Taste is such a wonderful event & gathering of people who have a true love for experiencing Toronto’s food ! I’ve been dying to go to ToT! haven’t been yet so pick me! I so need a mini vacation! This is a wonderful prize and I am looking forward to all the delicious eats! What a great contest! Thanks for the chance to win. Have a great summer everyone! I am honestly looking forward to trying all of them! Definitely Barque Smokehouse! Heard amazing things. Wow, I had no idea that Iron Chef Masaharu Morimoto would be coming to Toronto in the heart of the Entertainment District! It’s like a dream come true to finally have someone of his caliber come to our city. I will savour this unique opportunity to taste his signature dishes debuting at Toronto Taste. Morimoto’s the restaurant to watch out for. I’d be thrilled to have this chance, thank you. I haven’t been before so being able to attend and savour Toronto’s finest is a dream come true! I will be thrilled to try Maurito:)! Ooh… Hard to pick just 1 but I’ve been meaning to check out Little Sister! I’m most excited to try Patria and Rasa. R&D – a big fan of Masterchef Canada! I’ve heard so many good things about Splendido, I’d like to try it out! I can’t wait to nom all the food! The harbord room if I had to choose just one. ALL of them , but Patria and Harbord Room. heard good buzz about SO many restaurants on your list but not always realistic for the budget, so super excited to try any and all of them! All of them. But I want to try Rasa! I am most excited to try Patria Restaurant. I would love to go to a traditional Spanish restaurant. I have heard so many great things about Patria, and am looking forward to going. I would love to win this as Toronto is one of my favorite Canadian cities and three hours away from me! Thanks for the change. I’ve been meaning to try Patria and Rasa! I’m most excited to try Patria and Morimoto! I’m most excited to try Richmond Station! Splendido would be delightful I think. It’s a Taste of Toronto right? All of them!! What wonderful giveaway thaks so much. I’m not really sure, but it will be someplace that serves sea food. All the restaurants are highly recommended but out of my budget. I would be happy to try any of them. I am looking forward to a killer burger at Richmond Station. Patria. It’s hard to only pick one. Little Sister! Heard such good things! Would love to taste what Barque offers! I heart me some Toronto eats and Pilsner Urquell! I’ve actually never eaten at the Drake Hotel but always hear great things about it – would be very interested to give that a try! I’m most excited about Rasa at the Taste of Toronto.